Have you ever come across a recipe that is so simple, yet seems to wow and impress the people around you each time you bake it? This is mine. It’s quick to prepare, travels well, (trust me- it’s travelled 3 hours on an expressway and from one end of Bombay to the other and hasn’t let me down!) and is a one-bowl affair that comes together in under fifteen minutes. I found this recipe on Food52 when I was searching, very specifically, for an “almond and olive oil cake.” You see, after I made Nigella Lawson’s Chocolate Olive Oil cake, I kinda went bonkers over oil-based cakes with ground almonds. 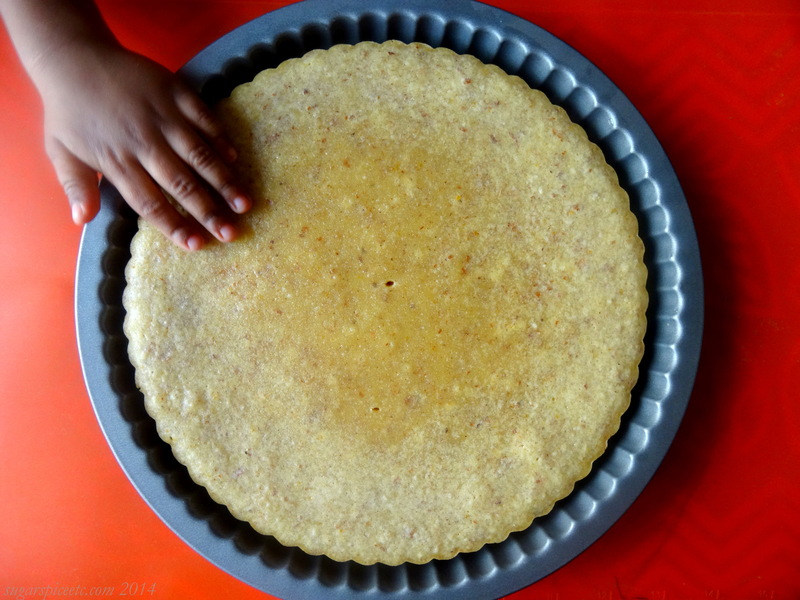 Oil-based nut-flour cakes are lovely and dense; rich and nibbly. 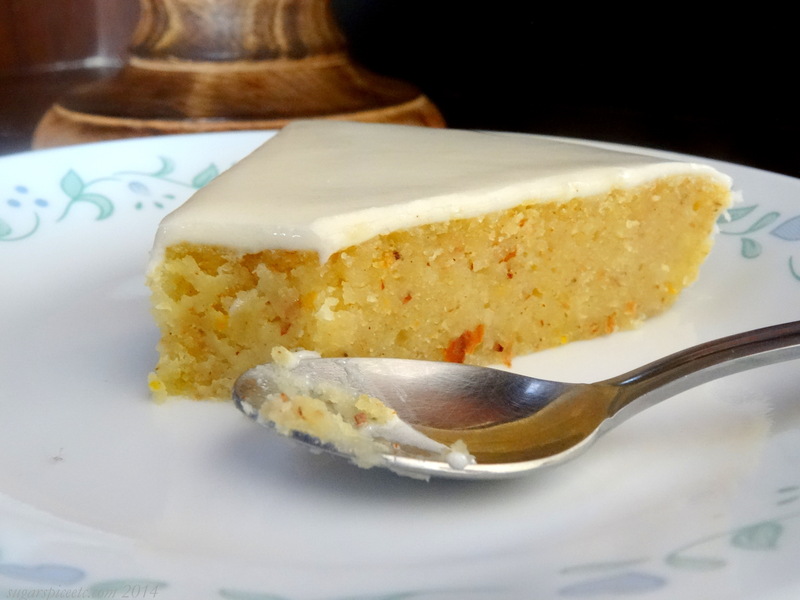 I love the unpretentiousness of a loaf cake and the quirk of a cupcake, but olive-oil cakes have a more grown-up air about them. Plus, they have this amazing ability to come out nice, flat and even- which makes icing and slicing them a breeze. A quick search on Food52, and I found this gorgeous grape, almond and olive oil cake. What drew me to the recipe, apart from the combined use of olive oil + almond meal, was the fact that it’s baked in a tart mould. The fluted edges look so pretty. There’s a lot of moisture in this cake, be warned. There’s olive oil, a whole cup of yoghurt, almost a whole cup of almond meal, plus the zest and juice of a whole medium-sized orange. So it’s not going to be a crumbly, crusty cake. It lies somewhere between a cake and a pudding, to be honest. It’s not too sweet, either, which is something else I like- it can be served with vanilla ice cream or dressed up with cream cheese frosting. I adapted this recipe to make it a little more Christmasy, using orange + nutmeg, and leaving out the grapes. I made this last Christmas and several times after, and I’m pretty sure I’ll bake it again as Christmas draws near. You can pour the batter into individual mini-tart moulds for single-servings, or just pour it all into a larger mould and slice and serve. You can also forego the tart mould altogether and bake it in a regular cake tin- I’m pretty sure it’ll taste just as nice. Just be sure to butter your mould well. Just a note: As you can see, I added a cream cheese frosting, which didn’t turn out quite the way I expected, due to the quality of the cream cheese used, it had nothing to do with the proportions. The cream cheese wasn’t very firm, which is why the frosting looks more like a glaze. It needed a while to set in the fridge before I could cut it! For the cream cheese frosting recipe, I used purplefoodie’s. For cream cheese frosting proportions and how-to, look no further than Joy The Baker’s Cream Cheese Frosting 101. Grease a 10-inch tart mould and set aside. In a large bowl, whisk the yogurt, olive oil, eggs, orange zest, orange juice, ground cinnamon, ground ginger and grated nutmeg until well blended. Next, fold in the sugar, flour, ground almonds, baking powder and salt. Mix well. 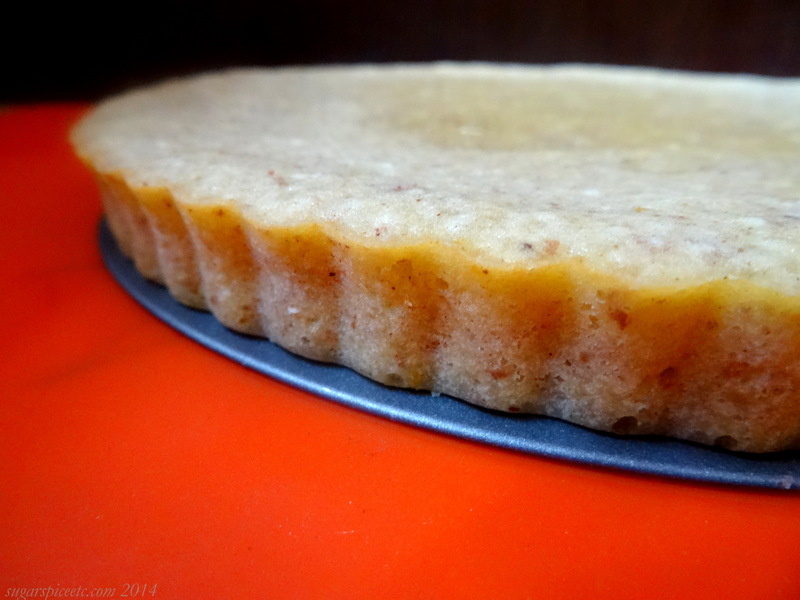 Pour the batter into the tart mould. 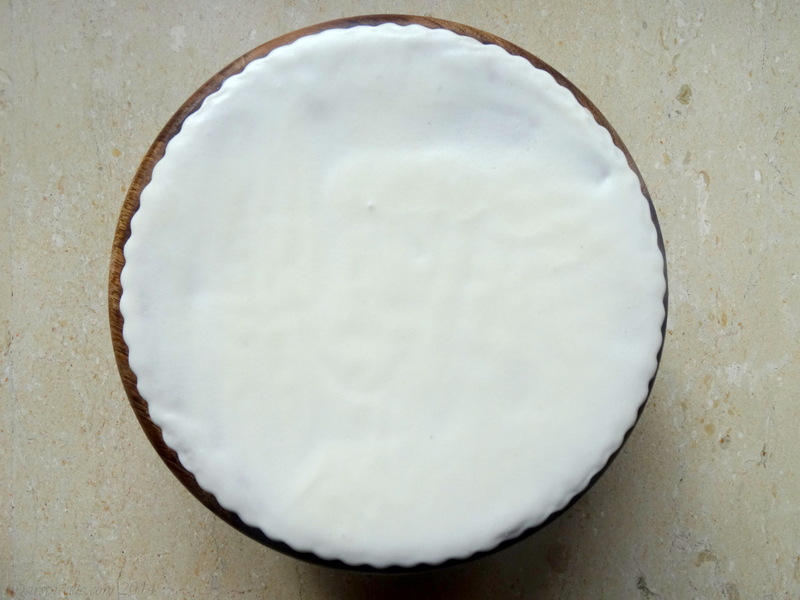 Just another note: I used a 10-inch tart mould and the cake came out fine, not to thin and not too high. If you check out the comments section of this post on Food52, you’ll see that some home bakers did fine with a 12-inch tart mould as well. 100% Prathap Uncle! I need to make a trip to Huntington…I think it’s been way, way too long! Let’s see if I can swing by the next time my mom travels!